Saïko | German Shepherd Dog in Goxwiller. Last login 11 days ago. 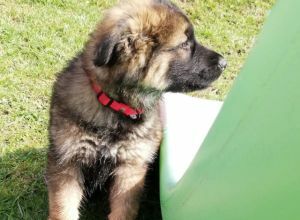 Saïko est un petit nounours Altdeutsch Schäferhund (berger allemand ancien type) qui a envie de se faire plein d’amis a 4 ou 2 pattes ! This breed is naturaly friendly towards strangers.